According to research, residents in Sydney encounter plumbing problems almost every year. Once in a while, every household experience clogged sinks or drain. Some of these are caused by people flushing down their sink anything. Every household’s plumbing issue actually varies. There are some problems that can fix the homeowner himself, but there is also that need to be handled by professional plumbers. It’s important to identify what type of problem is there that needs fixing. The following list below is some of the common plumbing issues of the people living in old Sydney Hills. These problems are bigger plumbing issues and need the attention of an expert plumber. Clogged Drains: This problem is very common in every household. You will know that you are having issues with your drainage because you will notice that it takes too long for the water to drain. There are multiples causes as to why the drainage is failing. For shower and bathrooms, hair, soap scums and dirt will eventually buildup and will cause a clog. For kitchen sinks, food particles and grease are the main causes of drain clogging. Toilet drain clogs are the worst. The reason for its clog is because of flushing the wrong junks like feminine hygiene products and wipes. These do not dissolve in water thus causing the clog. Clogged drains are to fix my plumbers in order to make sure that there is no waste stuff trapped in the pipes that are possible blocking the water. Plumbers can also check if there’s a problem in the main drainage system rather than just the individual drain. Fixing this type of problem requires advanced equipment and knowledge. Trying to fix it yourself might end up causing a major problem and an expensive solution. Relying on licensed plumbers to resolve the problem is the best thing to do. Water pressure is low: There are some times when you notice that you are not getting enough water when you turn the faucet on. Even when it’s completely open, water just doesn’t flow properly, it’s only dripping. This kind of problem is frustrating. It takes too long to complete to finish a task like washing dishes, doing laundry and even and even showering. It takes away the quality of enjoying your life on a daily basis. This could be caused by problems in your municipal water supply but it rarely happens and when it does, it only lasts for a couple of days. But if the problem persists for many days already, it might be related to your house’s water pipes. You can check the aerator and screens of your faucets. As water enters the pipes, there are some dissolved minerals that it carries and are deposited on the metal surface. Over time, the collected minerals can buildup and clog the aerators or screens thus causing the slow water flow. To check if this is the case, this could be fixed by removing the aerators and cleaning them. However, if water pressure is still low after cleaning it, chances are there is a more complex issue. There could be a leak in the pipes leading to your home and if not checked as soon as possible, my damage your home’s foundation. If the water pressure in your home suddenly becomes low with unknown reasons, always ask for assistance from the experts so you will know how to proceed. If you have a dripping faucet, seeing that your faucet is dripping and not knowing when it’ll stop is pretty annoying. It disturbs your sleep most of the time and it’s also a waste of money. It’s a must for every homeowner to make sure that every faucet is in a very good working condition. The typical reason for faucet dripping is worn out washer. Most faucets have a rubber washer and every time you open the faucet, it creates a friction between the washer and the valve. Usage for over a long period of time causes the washer to wear out. By simply replacing it can solve the problem. If you are confident and you have the proper knowledge and tools, you can fix it. But if you are not up for the repair job. It’s best to leave it out to the hands of a professional plumber. A loose or broken O-ring may also be the cause. It’s the round rubber gasket that can be found around the valve system. You will know if this is causing the problem because you will notice a leakage beneath the handle of the faucet. Replacement of the O-ring is necessary to resolve this. Lastly, dripping faucet occurs when there are other damaged parts of your water system. This could be the biggest reason for the problem. Call a plumber in Cherrybrook and West pennant hills to assist you with this. Have them check your faucets and the pipes. There may be broken or damaged parts that’s causing the leakage and needs replacement or fixing. Learning to avoid or lessen these plumbing issues is possible. You can watch out for what goes down on your drains. Keep out food scraps, liquid grease, hair and anything that might cause plug-ups. Installing screens over your drains can be done to avoid build-ups. If you have exposed water pipes in your house, do not hang anything in there like you’re your clothes. These pipes cannot support such weight and it may strain the pipes causing for it to burst. These are just some of the ways to so you won’t run into plumbing issues in your home. 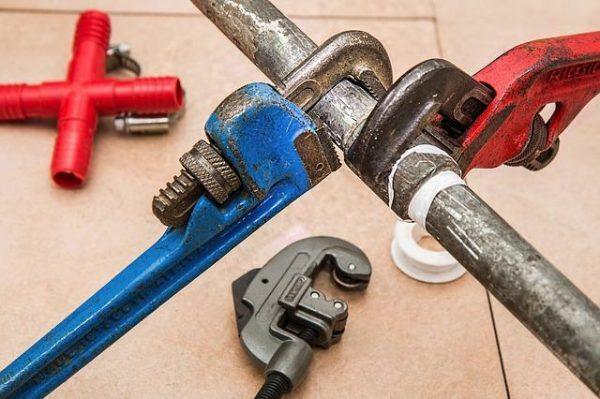 However, if you discover that the issue is more complicated than you thought, do not hesitate to pay for the services from a plumbing company in Sydney. It’s also good to have a professional inspection once in a while. This way, small problems can be seen before they become major issues. After all, anything can go wrong in any water system considering how it functions on a daily basis. 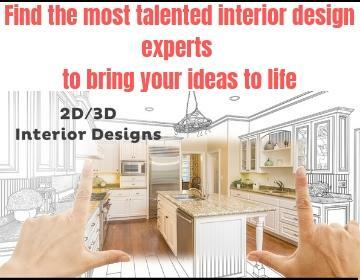 The goal is to make your life convenient and comfortable in your home.